Winter Survival eBook Package 6 for $6! It had to be done. Christmas is over. School is back in session. Sports seasons are in full force. Some of us (who shall remain nameless) actually look forward to washing the dishes so that we can warm up our hands in the hot water. Baby, it’s cold outside. We need a Winter Survival Package! Hoping to be a little more organized this year? Can’t find the lids to match your favorite Pyrex dishes? Have too many plastic cups falling on your head when you open the cupboard? 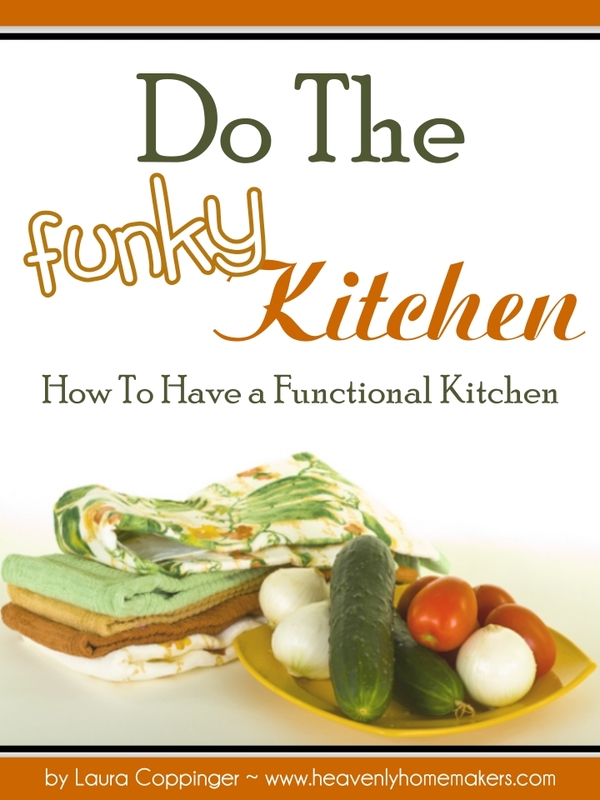 Do the Funky Kitchen was one of the very first eBooks I wrote, and the basics of creating a functional kitchen hold fast. Let this fun guide help you get your kitchen organized and ready for simple, real food cooking! This collection is actually a set of four books in one! 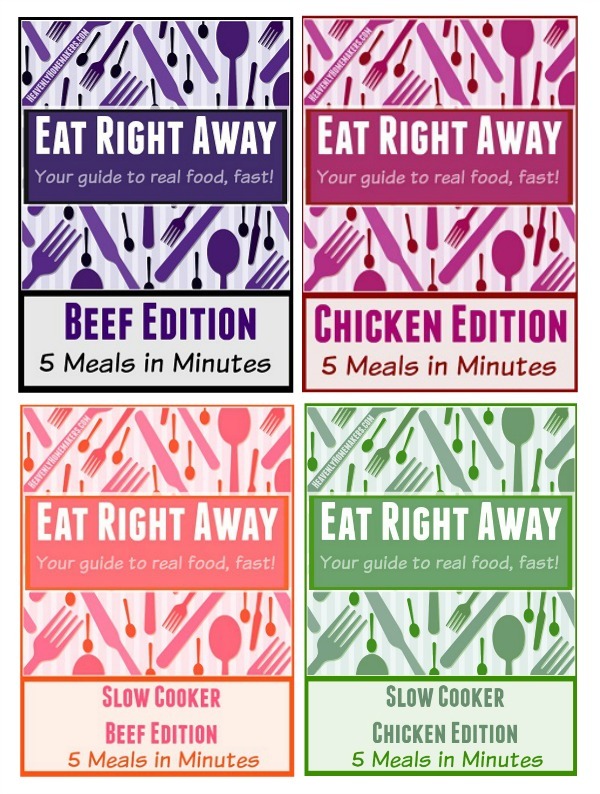 Each of these mini eBooks walks you through putting together 5 meals in 1 hour for your fridge or freezer. Then you can pull out your prepared food and have a meal in minutes! 20 meals in all, these books not only give you recipes, but they provide you with grocery lists, bonus tips, and instructions to help you be efficient as you quickly put these tasty meals together! Hate meal planning but not ready to join Simple Meals yet? 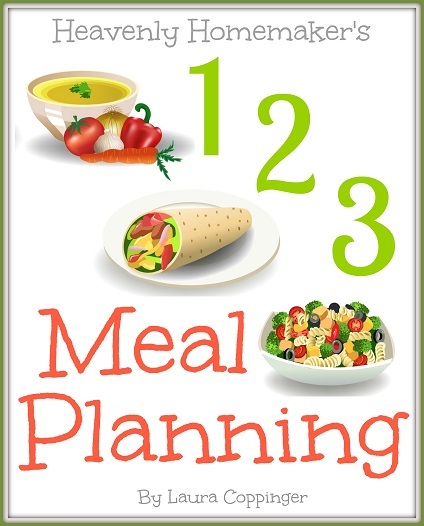 1-2-3 Menu Planning walks you through the simplest of steps to help every person plan easy and nourishing meals your family will love. Then it gives you 100s of meal plan ideas. Whoa!!! Here’s another of Heavenly Homemaker’s original eBooks from 2007! Have beef? It’s what’s for dinner. 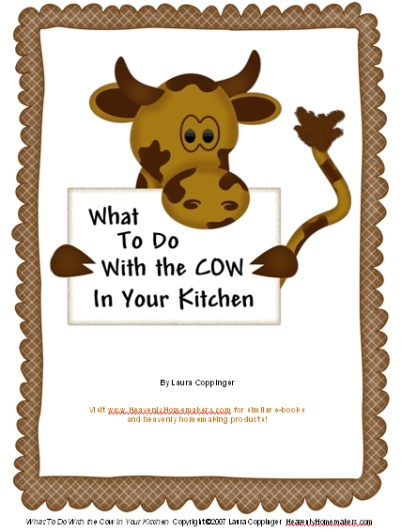 What to do with the Cow in Your Kitchen is filled with basic and delicious beef recipes that have been family favorites for years! If you’re like me, after the holidays, I’m ready to cut back on spending and use up the great food we already have on hand. 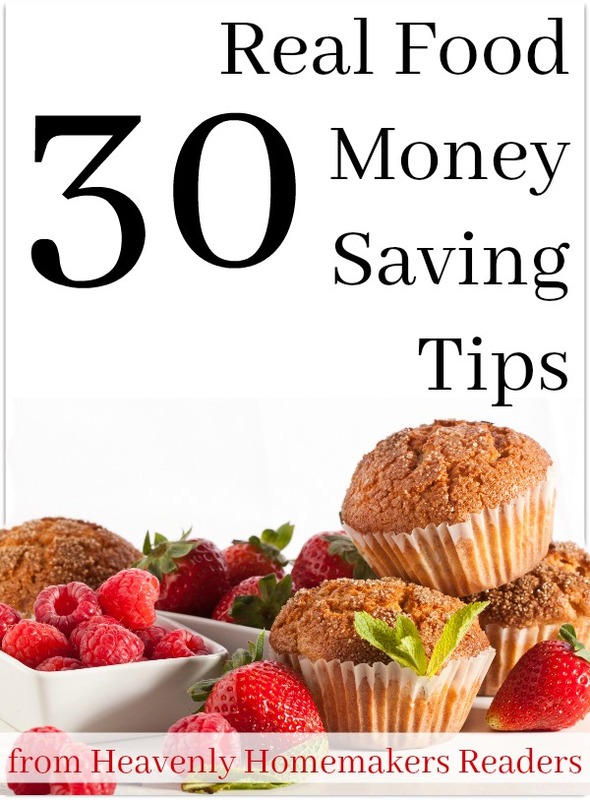 This handy eBook contains awesome tried and true ideas from Heavenly Homemakers readers that not only save money, they make real food eating doable and fun! If you’ve never eaten a homemade tortilla, you are missing out! 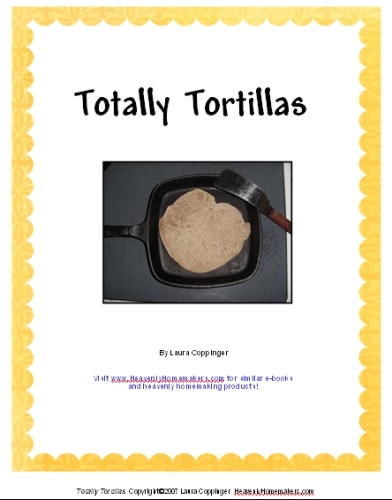 Totally Tortillas provides you with my family’s favorite whole wheat tortilla recipe, then it gives you recipes and ideas for fun ways to use them. Truly, this tortilla recipe is a must-have and the extra recipes included in this book are a huge bonus. Every family needs this one! Get all 6 eBooks for $6.00! 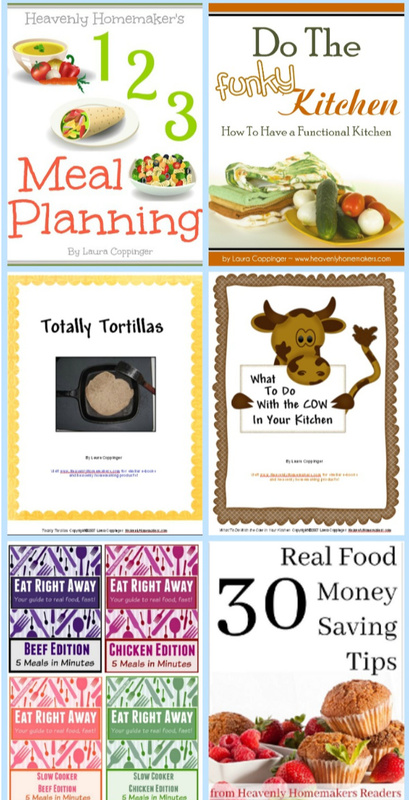 Today through Wednesday, January 16 these eBooks (worth $27.75) are packaged together for just $6.00! Total. For all of them. Because winter is upon us and we are cold, broke, and hungry. Or because we simply look forward to learning more about saving money and eating well! This $6.00 offer is good through Wednesday, January 16. Purchase your package then watch for an email which contains all 6 books for quick download!